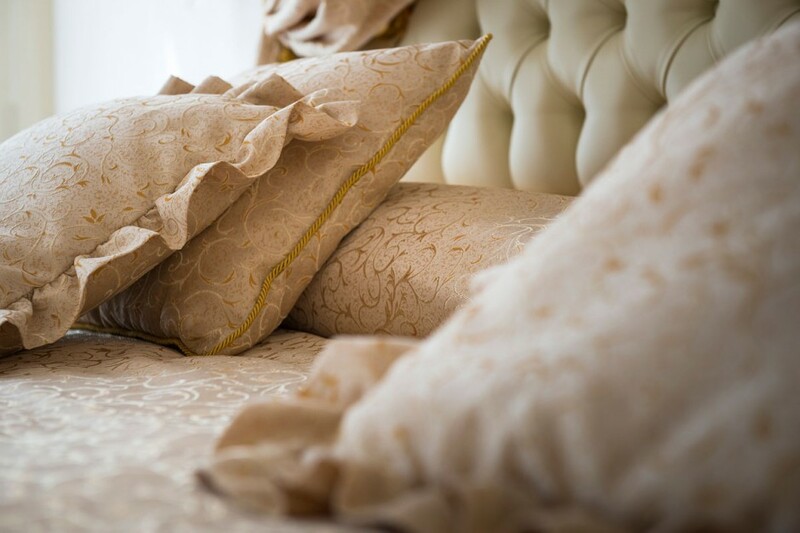 Have you ever wanted to live in a palace? 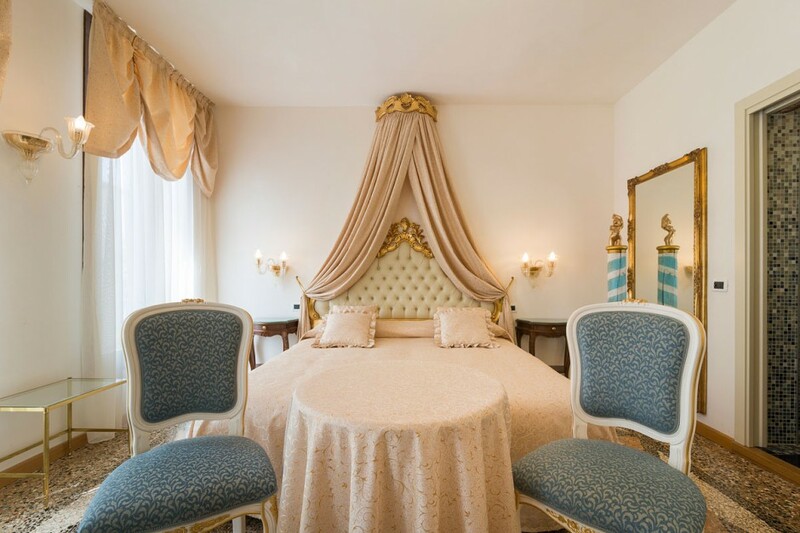 With its authentic 18th century Venetian furnishings, this room recalls Venice’s Doge’s Palace and the parties that were held in the days of the Serenissima Republic. 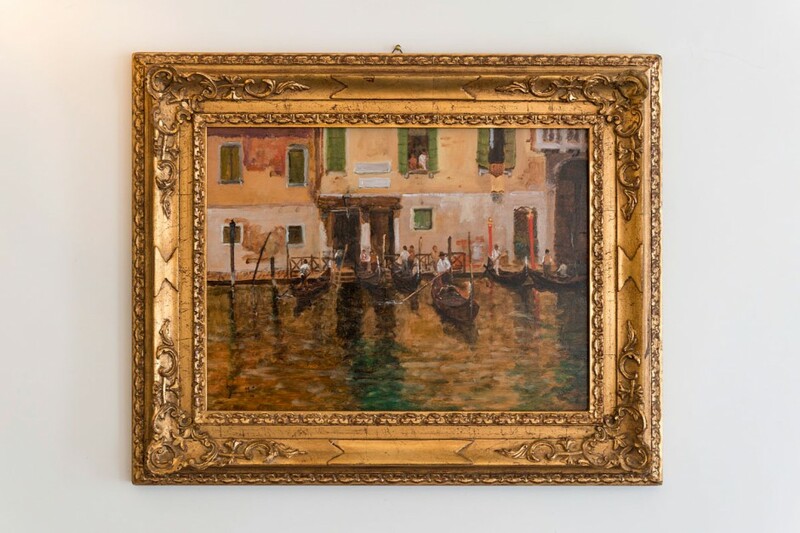 One can almost hear the strains of Vivaldi in the atmosphere that is suggested and brought to life by “Venezia” room. 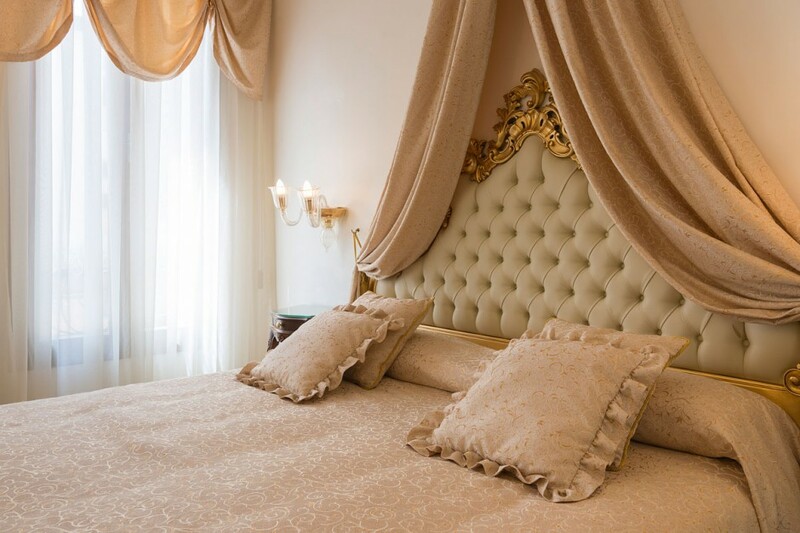 An intense emotional experience that takes you into a fairy tale world, in an exceptionally beatiful setting. 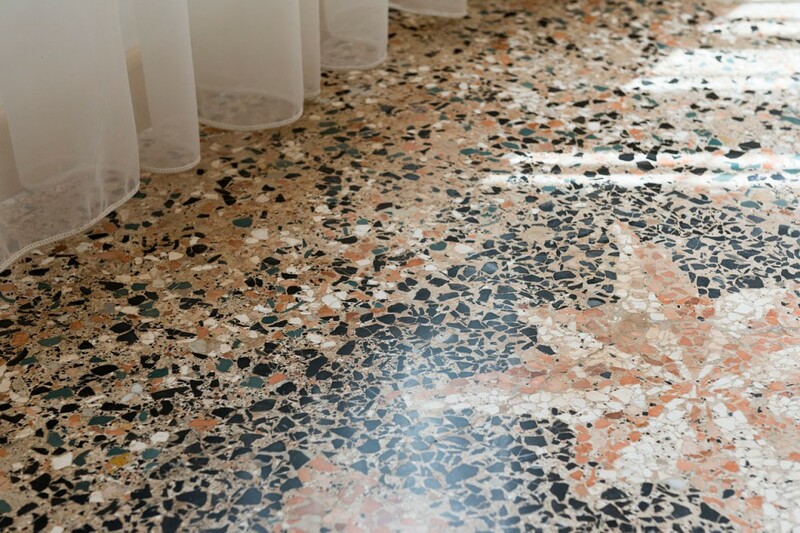 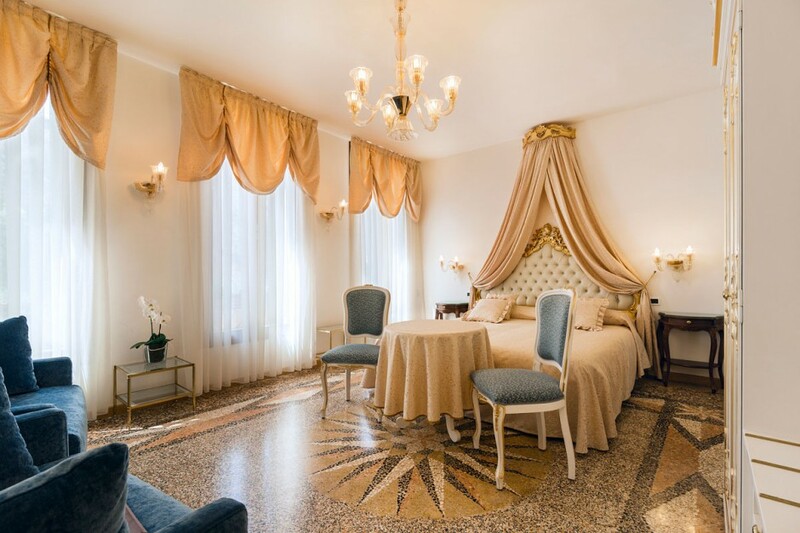 The room is fitted with a splendid authentic 17th century Venetian floor. 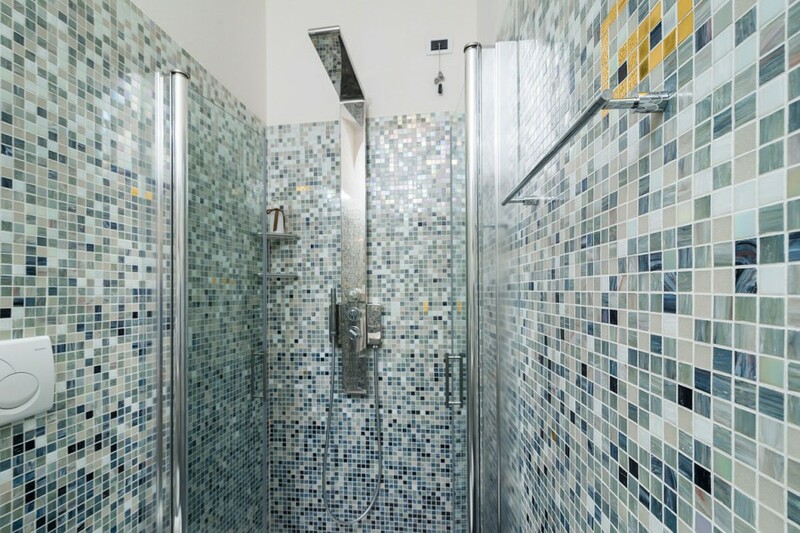 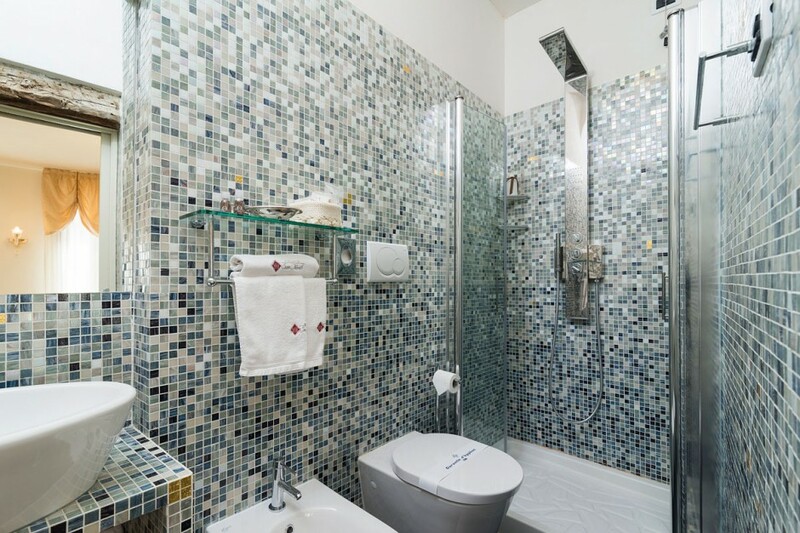 The bathroom is fitted with a hydro massage shower and is finished in precious BISAZZA mosaic.